In collaboration with Volunteer Starkville, Trinity hosted Starkville's Night of Unity on the eve of MLK. Community members joined in fellowship, food, and discussion groups for a beautiful evening. Meet Martha Roskelly, mother of 4 beautiful children who are all in school now. She missed babies in her life, so she joined us in our Nursery Children's Program! Our biannual blood drive at Trinity on January 17th 2016 resulted in 10 pints of blood being donated by people in our Trinity congregation. This will help 30 people who are in need. We had a packed house for our annual Thanksgiving Feast at Trinity. Tom Ritter, our Turkey Chef, outdid himself again. Thanks to all who planned and helped with the organizing and beautiful decorations. The kids LOVED the Thanksgiving jokes on the tables. What a season to be GRATEFUL! We wanted to give our youth the opportunity to fellowship with young people from other worship backgrounds. The Bridge Youth Group was formed between St. Joe's Catholic Church, Episcopal Church of the Resurrection, and Trinity Presbyterian this fall. Every week the youth group rotates where they meet. And we have had some serious fun learning to love each other and grow in Christ's love. Our youth group, led by an enthusiastic Joe Ray and Nancy Underwood, put on Trunk or Treat for Trinity Families and Friends. We had a blast! Trinity is bursting with activity these days. This Sunday featured a men's ensemble in the morning that brought big audience applause. They were inspiring, but I have to say, not quite as cute as the creatures who stole the show later that afternoon at the Blessing of the Animals. Grace and Giff Bull were part of the Trinity family for many years. They moved from Starkville to Virginia in 2003 to be closer to their children. Grace died in 2009. 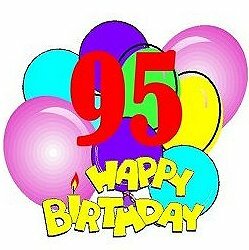 HelenSue Parrish let us know that Giff will soon have his 95th birthday. Tom Ritter sent a link to an article about the adventures of Captain Gifford Bull as a pilot flying from India to China in 1944 and 1945. Tom noted that there is a nice picture of Grace and Giff at the top. http://www.cnac.org/bull01.htm. Thank you to all the donors who made the blood drive very successful on August 23. A total of 16 people were able to donate. With three people donating double reds, the total number of pints collected was 19. This is the best blood drive we have had in 3 years. Trinity continues to serve many. Thank you. Trinity was abuzz with sound and energy this week as the new Sunday School year kicked off. After children presented all the teachers this year with a rose, the adults chose between attending the “Wired Word,” discussion, a parent orientation for our new OWL (Our Whole Lives) middle school curriculum, and Rich Raymond’s fantastic class on John Donne’s religious poetry. The High School and College Classes are back in full swing, too! Twenty-five students attended pre-k through high school classes. Middle Schoolers began a workshop on bullying. The most animated crowd, however, could be found in the Elementary Club. The kids had a great time playing games, role playing, and singing as they learned about the Gospel of Matthew and what it has to teach us about being loving and well-mannered. Can’t wait to see where the new school year takes us! Trinity had one last fun inter-generational activity before our educational program begins next week: Jehovah's Jeopardy. This event was Patti Drapala's brain child. Over 25 volunteers of all ages came out Sunday to clean up the back parking area and the field behind Trinity. We are making way for our growing family programs. Once the area is cleared out we are installing a soccer goal, Gaga ball pit, and basketball net. Let the fun begin! Thanks to all who showed up and made work fun. After a long renovation process which involved practically all of the infrastructure of the Sanctuary and surrounding classrooms, we are extremely pleased to announce completion. We held the first of many community events in the new space: Drumming and Community with local favorite Robert Damm.